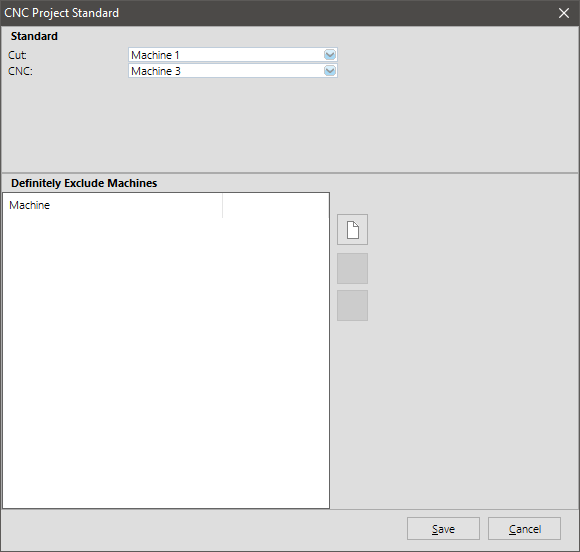 If you want to use or exclude machines for a project, you can make specific settings in the project standard. Click in the project center in the file menu on „Job“ > „Machines“ > „Project Standard“. In the upper area you can select the machine you want to use. Under „Definitely Exclude Machines“ you can enter the machines, that should definitely not be used. 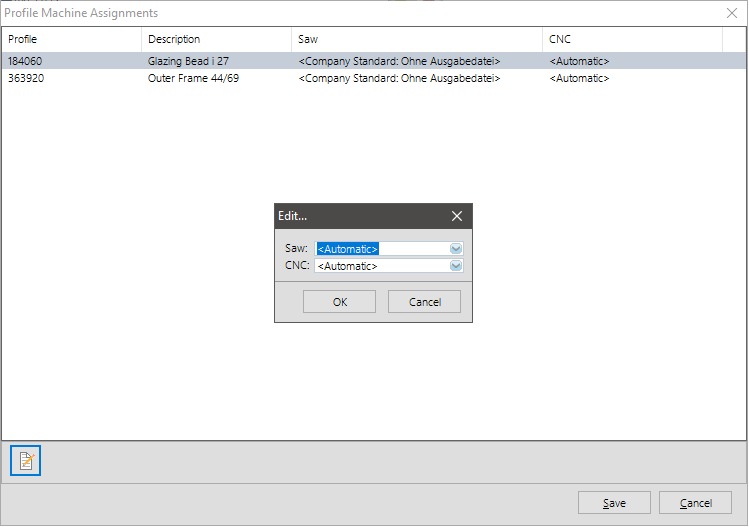 Note: If you do not enter any data here, the programme automatically uses the settings from the CNC Company Standard. You can determine which machine should be used for every single profile. Click in the project center in the file menu on „Job“ > „Machines“ > „Profile Assignments“. Double-click an article in the list and enter the saw and the cnc.